The movie Fantastic Voyage: trailer, clips, photos, soundtrack, news and much more! Scriptwriter Laeta Kalogridis has been hired by James Cameron to re-write the script of a 3D remake of Fantastic Voyage. James Cameron won’t directing, he’s attached as producer and seems determined to carry out the project. He’s been hinting at Louis Letterier as possible director for the film. 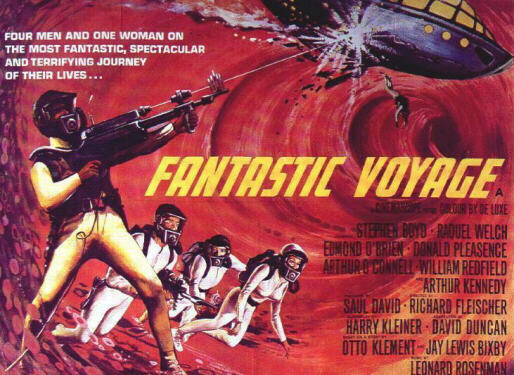 Some scenes of the original movie were kind of psychedelic, so expect people to get high if they reproduce those scenes in 3D in the new Fantastic Voyage movie!